Showing items tagged with "password protection" - 5 found. Even prior to the TalkTalk hack, password protection and the on going stream of email spoofs were a significant focus of the last few months. The latter are always phishing to relieve you very cheaply and easily of your hard earned money. TalkTalk’s was hacked by a 15 year old. The number of customers’ financial information stolen might be less than expected. But it reveals just how vulnerable such websites are to the determined hacker. The worst fifteen hacks – it’s to early to know the full extent of the TalkTalk hack and whether or not it ranks in the top twenty worst cyber crimes. Here is the list thus far. Password protection. There are a number of good password protection applications. Here is a useful summary of the best of the bunch. Spotting spam emails still seems to defy some. This is a very good reminder of the key signs that the email you think is genuine is not. Out of office messages are a two fold hazard. They act as a cheap backdoor to cyber criminals and an excuse to take a peek at emails whilst technically on leave. The recent hacking of the Adobe website is a salient reminder of the need to remain vigilant about protecting ones personal information on-line. One of the most stark factors to emerge was the number of very weak passwords used by people. Email security and internet security depends in part of having strong passwords and being vigilant about what you post on social media sites. 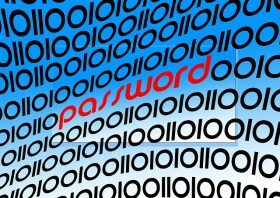 A recent report revealed that the most common passwords were ‘123456’ (190,000+ users) and ‘123456789’ (46,000+ users). In my youth my favourite singer was Leonard Cohen. A password might be 1mYMf3Wlc! 1. Password protect important attachments. 2. Do not put confidential information in the body of an email, rather either convey the information verbally or in a password protected attachment. Click here for an example of what can otherwise go wrong. 3. Remember that despite your best efforts email evidence is very rarely destroyed. Someone somewhere will always have a copy. 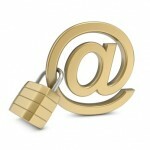 For those managing a business (no matter what size) a key part of your email and internet security must be your Acceptable (computer) Usage Policy (AUP). It must be up-to-date to take account of changing technologies, and you must have evidence that everyone has read and accepted its conditions. Click here to access our free on-line tool to benchmark just how robust is your current AUP. Mesmo Consultancy have helped many clients improve their email security and reduce the risk of leaking sensitive and confidential information. Call us now for a free consultation and review about how vulnerable your business is currently (+44 (0)1202 434340) . How good is your email security? Cyber crime is now a tier one priority for government and business. Sloppy use of email is one of the most common ways to leak important information and open the door for the cyber criminal. Improving your email security is one of the first steps to managing the risk of a cyber attack. Create strong passwords for access to your email account – ideally eight or more characters which include, numbers, alphabetic letters, special symbols (such as ? and £) and capitals. The easiest way to create a password which is memorable to you is from a sentence. For example: In 2012 my favourite city is Paris. This would become I2012MfcIP. Check the strength of your password using the Microsoft Security site. Set a safe Out of Office message. Avoid putting confidential information in emails – they are as transparent as a postcard. When emailing files, clean them up and send them in PDF format. Password protect them if they contain highly confidential information. Check you are sending the email to the right John Smith. Benchmark your Acceptable Computer Usage Policy and check that you and everyone in the company adheres to it. 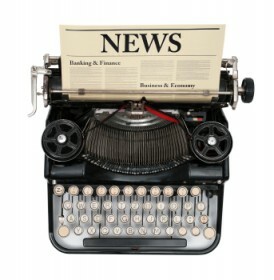 If in doubt about how robust your policy is, ask us at Mesmo Consultancy to do a free review. Minimise the amount of personal information you put on social networking sites and especially names of friends, pets and close family (as these often form the basis of security questions). For more email security tips like these subscribe to Mesmo Consultancy’s monthly ‘E-briefing.’ For your free review of your company’s Computer Acceptable Usage policy please contact us by phone on 01202 43 43 40 or email.